Guests are arriving at Disney's Wedding Pavilion and I couldn't be more excited! Cinderella's Coach is out, fresh scones just arrived and Major Domo is dressed to impress. Be sure to keep checking this post- we will continue to update it throughout our Royal Wedding celebration. 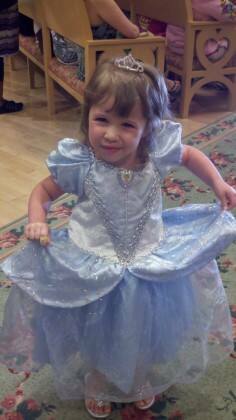 Our first little princess to arrive at Disney's Wedding Pavilion- I am cooing over her adorable tiara! 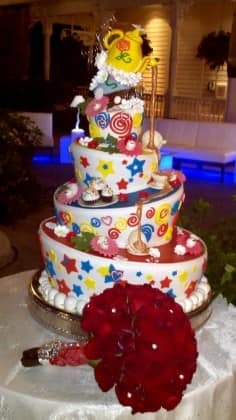 The Grand Floridian Bakery created a Mad Hatter cake fit for royalty. You may recognize this bouquet as well- it is the Royal arrangement we created to commemorate William & Kate's big day. 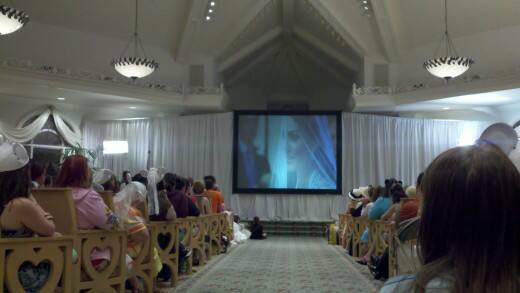 Kate is on the big screen in Disney's Wedding Pavilion! She looks incredible! Marcus, our resident wedding planner, poses with the Mother of the Bride- they both love the spotlight! Of course no Royal Sleepover would be complete without an appearance by the Fairy Godmother herself.